Life is better with cats! 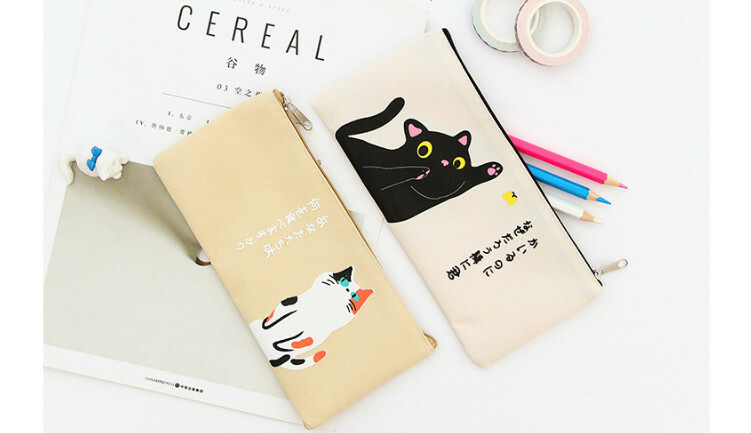 Made of canvass, these Cute Japanese Cat Pencil Case features fun graphics of cute cats. 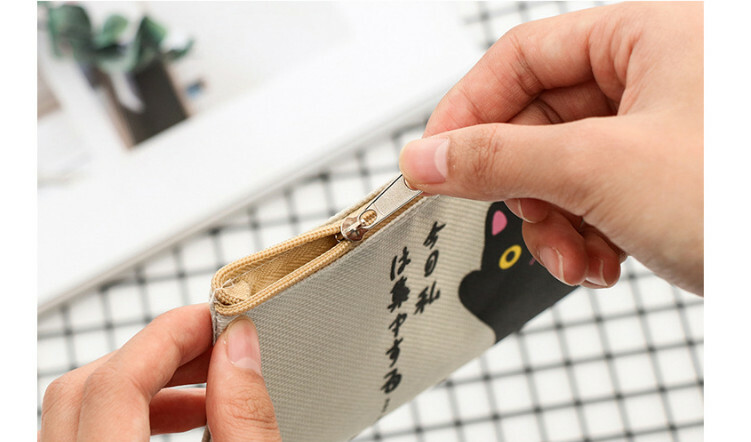 Giving your pens a house has never been this cute! Has a strong plastic smell to it but hoping it'll dissipate soon, otherwise as described! Perfect. Fast delivery. 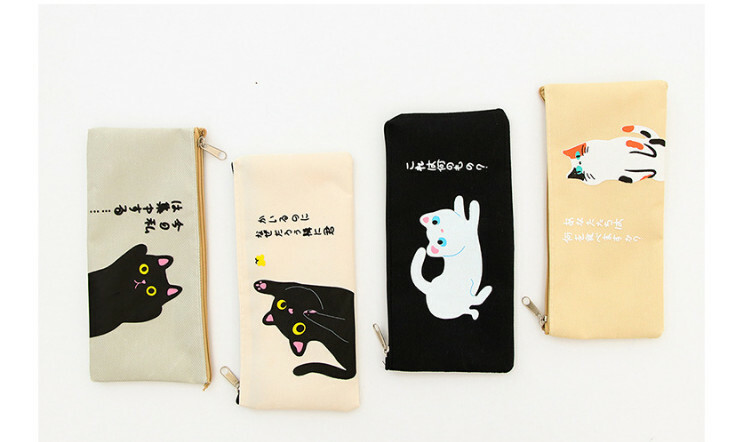 Beautiful pencil case, pleasant to the touch. There is a smell. Thank you very much. Price/quality matches. Thank You for the gift keychain! 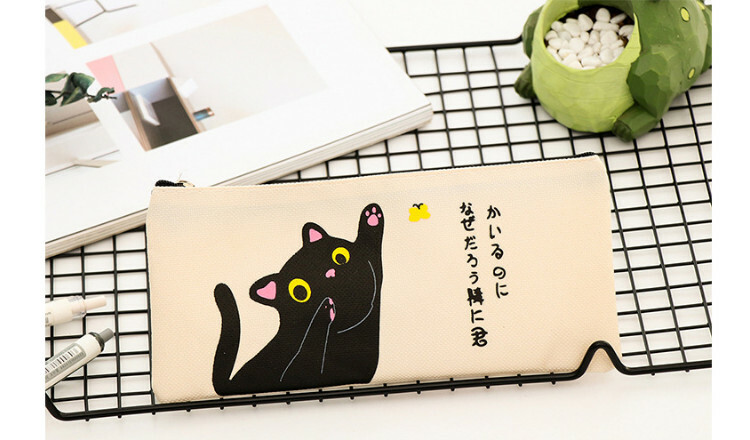 For the price pencil case good. To give a gift keychain. Parcel arrived relatively quickly. There’s some threads I need to cut off but besides that the bag is very cute and very nice to the touch. Zipper works fine and the print is cute. The quality is good. Fits the description and photos. Thank you very much! Perfect. Fast delivery. Thank you very much. 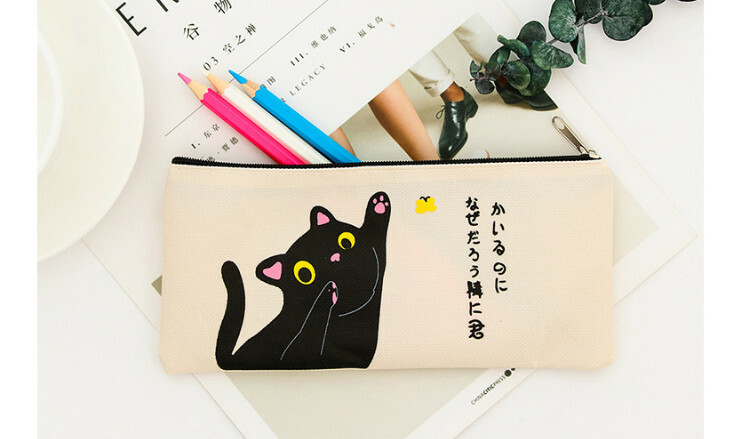 Beautiful pencil case, pleasant to the touch. For the price is stunning.